With over 400 billion cups consumed every year, coffee is certainly one of the world’s most popular drinks. So many of us can’t – or won’t – get through the day without it (this writer included). But a cup of coffee may provide more than just an energy boost. Coffee contains hundreds of phytochemicals and antioxidants, Vitamin B3, magnesium, and potassium – so you can actually pack some micronutrients in with your caffeine fix. But more recently, there has been research looking into coffee’s positive effects on the brain, so read on for these Top 5 Cognitive Health Benefits of Coffee! Observational studies have found that caffeine may be protective against neurodegenerative diseases such as Alzheimer’s disease and other forms of dementia. These studies have shown that moderate coffee consumption, of about three to five cups a day, is associated with a 65% reduced risk of developing dementia later on in life. 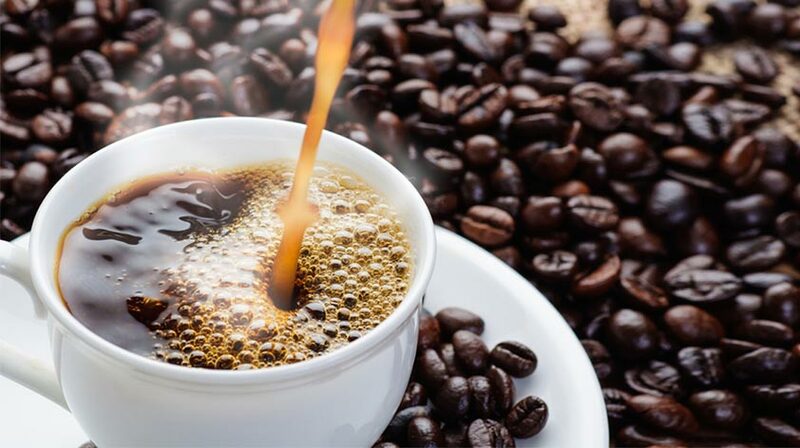 This is not only because the antioxidants in coffee may help to protect the body from oxidative cell damage, but also the enhancing psychoactive properties of caffeine keeping brain cells well-exercised and healthier for longer. Although this association is not yet fully established, a Harvard study published in 2011 found that women who drank 4 or more cups per day had a 20% lower risk of developing depression. Another study with over 200,000 participants found that those who drank 4 cups of coffee per day were 53% less likely to commit suicide. Although some research points toward the activating and mood-elevating effects coffee has on the endocrine system, it is not yet fully understood why this is the case and further research is needed in this area. The European Food Safety Authority (EFSA) concluded a cause and effect relationship between improved alertness and attention and consuming 75mg of caffeine – the amount found in a regular cup of coffee per day. In the brain, caffeine blocks an inhibitory neurotransmitter called adenosine. When this happens, the amount of other neurotransmitters increases and leads to an enhanced firing of neurons. Too much science? In summary – coffee can impact brain function in a positive way! A review study showed that moderate caffeine intake may appear to improve working memory. It has been suggested that this is because caffeine may block the neurotransmitter adenosine (as mentioned above) and prevent it from stopping the function of norepinephrine, a hormone that has been shown to have positive effects on memory. A review by A. Nehlig in 2010 suggests that one cup of coffee (containing 75mg caffeine) every 4 hours can result in a sustained improvement of mood over the day, especially in fatigued individuals. On the other hand, overconsumption can have the opposite effect and cause nervousness, anxiety and jitteriness. Thankfully, the effects of caffeine are reversible, suggesting that taking even large amounts of it has no significant detrimental effect on physiological health. Not only can your daily “cup of joe” offer you an energy boost -it may also reduce your risk of developing neurological disease, improve your mood and as well as your mental performance. Those that drink coffee to excess may negate some of the benefits. Therefore, the key is moderation (typically 2-3 cups a day) in order to maximise on the positives whilst avoiding the undesirable effects of caffeine consumption. What are your thoughts on the power of various foods and their effect on brain, cognitive and mind function, what has made a positive difference for you? Let us know in the comments below, join in the conversation on Facebook and follow us on Twitter & Instagram. Stay tuned for more on nootropic (‘aka smart drug’) brain foods coming soon and check out these energising health food articles and these to get your energetic FIT ON! 3 Easy Ways to Keep Motivated to Workout this Winter!